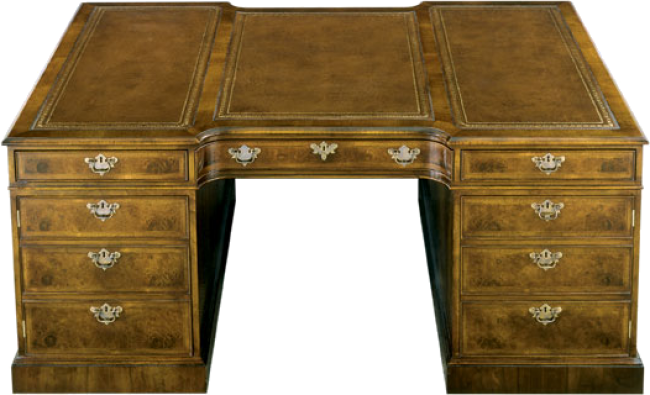 Recessed top double pedestal executive desk with leather or wood writing surface. Work side consists of four box drawers and two file drawers on Accu-Ride suspension. Center drawer with fitted pencil tray. Approach side has two cabinets with adjustable shelves. All drawers and doors lock. Antique solid brass hardware. Can be adapted to a full working Partner's desk. Pictured in Burl Walnut.